A long time ago there was a racing driver, a fantastic driver, who did many impossible things. He took his first GP victory at the end of his first full season by choosing a compound his tyre supplier said was way too soft. But he knew better; he had an uncanny feel for how to nurse the rubber but still conjure winning speed from it. His team-mate, renowned as one of the most sensitive drivers of all time, knew he couldn't make these tyres last, opted for the harder ones - and finished third. The driver took his next victory early the following season by pushing his new team-mate hard enough to make him overwork his tyres. That done, he simply glided past and reeled off the remaining laps, untroubled, serene. He took his third victory in the very next race by going a whole compound softer than his team-mate. Again, the tyre men drew sharp breaths and shook their heads. Again he confounded them, winning by over half a minute. In the last race of that season he took win number four. This time he had to conserve a sick engine, its oil pressure almost non-existent for the last 20 laps. Who was this angel of simpatico with the touch of silk? Gilles Villeneuve, that's who. Surely not? This is the man once described by Enzo Ferrari as "a high priest of destruction", isn't it? The very same. It's the driver, one of the fastest and most spectacular of all time, whose image is forever captured in racing minds for three-wheeling back to the pits at Zandvoort, or sitting in the middle of the track at Imola with not a wheel on his smouldering wreck. The paradox is only superficial. Villeneuve was one of the greatest drivers the world has ever seen, of a calibre that comfortably compares to such accepted greats as Senna, Clark, Schumacher, Fangio or Moss. That's not the general perception, because his life was cut short before the overwhelming glories that were his due ever got to play out. But it's the reality. Look beneath the surface, beneath the snapshots of drama that have lasted more vividly than the subtleties, and the evidence is overwhelming. 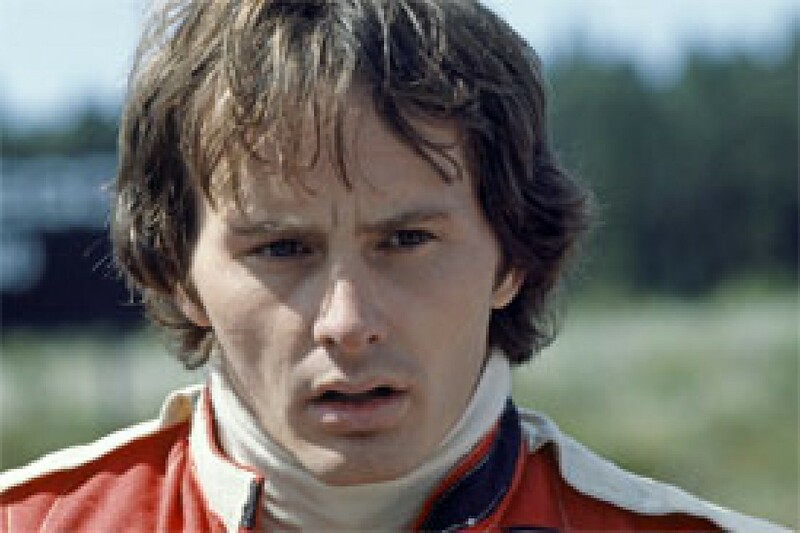 Mauro Forghieri described Gilles as having a "rage to win" greater than any driver he had known, and it was this competitive intensity that drove him on. And that, allied to a twist of DNA, allowed him impossible victories like Monaco or Jarama 1981. It was this same rage, however, that sparked incident and spectacle when in 1980-81, at a time his career should have been coming into full flower, Ferrari provided him with dogs. "He was an innocent believer," says Forghieri. "He had surrendered his own chances [of the world championship] for the team in 1979 with Scheckter, and he believed that he would be paid back." When circumstances conspired against that, desperation occasionally surfaced. But what about before 1980-81? There was incident then, too, surely? Villeneuve's close friend and fellow GP driver, Bruno Giacomelli, puts that into perspective: "You have to make the distinction between early in his career and later. Those who talk about Gilles as crazy, I think they got it wrong. "You must remember that he had no real experience when he first came into F1. I mean, he didn't even have international experience, just Formula Atlantic in Canada and North America. He had to learn so much more than the rest of us brought up on racing in Europe. If you think, he came to F1 without any international experience, he had to learn the tracks as well as all about F1 - and with all the pressure of being a Ferrari driver. "Of course he made mistakes! There were only two possible outcomes in that situation, no matter how talented you were. You would either not have been quick enough or you would have accidents. And if you're not quick enough, you're not going to get to stay in F1. So there was only one option. I think he did incredibly well. Jesus, he almost won one of his first races!" That would be Long Beach '78, his sixth GP, a dominant victory lost only by failing to allow for Clay Regazzoni's notoriously limited peripheral vision when he came up to lap him. Testing for his first GP (with McLaren at Silverstone in 1977) was probably where the reputation for wildness took root. It's now the stuff of legend how many times he spun. But it wasn't clueless spinning; it was the result of a calculated strategy to get up to speed in time for qualifying in a car far more powerful than his Atlantics, on a track he didn't know, and when there was only one chance to make a favourable impression. Not once did he hit anything; he chanced his arm only where he could recover, and his spin recovery was quite fantastic. Come qualifying and the race, he was flawlessly polished and sensationally quick. With an obsolete M23, he set the race's fifth-fastest lap, and had he disregarded the information of a faulty temperature gauge, he would have finished fourth. Mega-talented though he was, he was still in over his head in terms of experience. If the McLaren run had been in at the deep end, stepping in at Ferrari later the same year as a short-notice replacement for the legendary Niki Lauda, and in a car that handled diabolically in the autumnal cold, was akin to leaving the toddlers' pool to swim in shark-infested waters. In Japan, his second race for the team, he messed up, getting airborne after misjudging a move on Ronnie Peterson. At this point, yes, he was wild. "When he first arrived, his driving style was not really suitable for F1," says Giacomelli, "or any single-seater, really. He was still quick, but the style made him have accidents, too. But he learned and actually, though he remained spectacular, he became smooth as well. People get the two confused. You can still be super-smooth but be right on the limits, using all the track and more. "People saw him pushing like hell because his cars weren't competitive in 1980 and '81 - up on the grass, crazy things - but I tell you, he was smooth in the way that he used the car, in the way he made the inputs into it. You could see that just watching his car." Carlos Reutemann, stunningly quick and with many years of experience, was Ferrari team leader in 1978 and performed brilliantly to win four races in an outdated car. His average performance was, not unexpectedly, higher than that of his rookie team-mate. But never did he take the fight to a fit and healthy ground-effect Lotus 79. 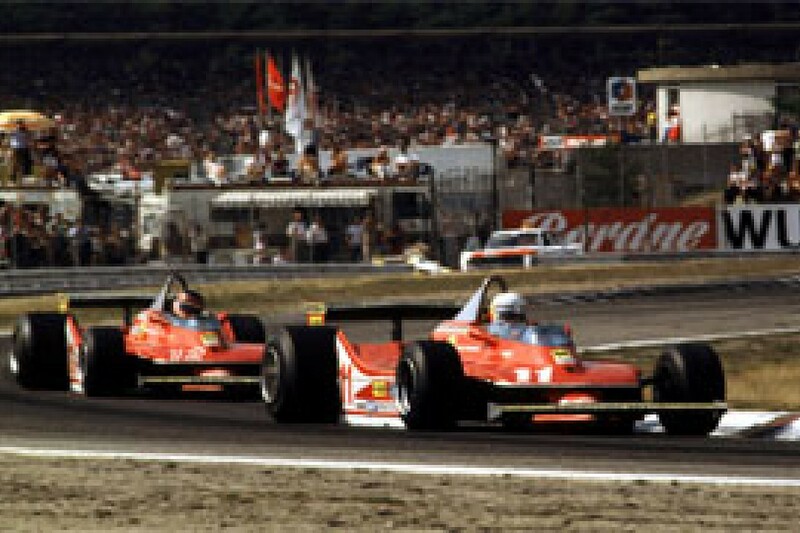 Villeneuve did so twice, pressuring Mario Andretti for victory virtually all the way at Zolder and Monza. Which merely confirmed that his potential was off the scale. His payback for the bad luck of Long Beach came in Canada thanks to the retirement, when well in front, of Jean-Pierre Jarier's 79. But Gilles' style was evidently smoothing out. How else did he make those soft Michelins - which even super-sensitive Reutemann shunned - last? For 1979, Jody Scheckter came on board at Ferrari as the established superstar, the world champion elect. The plan was for Villeneuve's second season to be one of support. He agreed, but in the first half of the year was conclusively quicker. His victory at Kyalami was a stunner, forcing a pace upon Jody that did for his tyres, overturning Scheckter's logically 'correct' choice of slicks in a race that turned out to be only briefly wet. Villeneuve had begun on wets. That shouldn't have been the right strategy, but he made it so. At Long Beach he again trounced Scheckter, this time by going for another of his marginal compound choices and delicately making it work - from the front of the field throughout. Shouldn't have been possible. On the eve of the Belgian GP, Ferrari issued a statement to the effect that Scheckter had until Monaco, one race before the halfway point, to score a victory, otherwise the team would switch its championship effort to Villeneuve. Scheckter being Scheckter, won in Belgium and Monaco. But the Belgian win was incredibly fortuitous, and with hindsight is the pivot upon which the perception of Villeneuve's career stature swings. Scheckter made a clumsy first lap passing attempt on Regazzoni at the chicane, the two making hefty contact. Jody got away without damage, but Regazzoni was cannoned into Villeneuve, who had to stop for a new nose-cone and rejoin last. 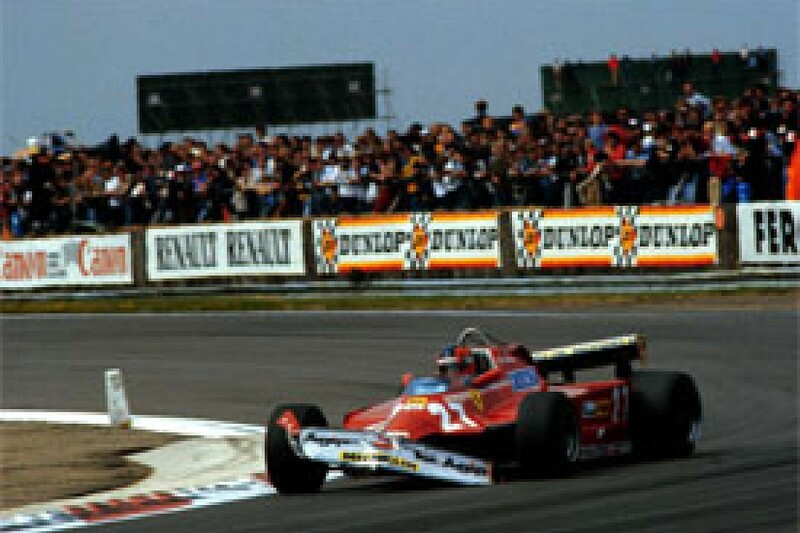 Gilles made a stunning comeback, his lap times showing that he could have dominated the race from the front. He was up to third when he ran out of fuel on the last lap. Even had he scored those four points and not the nine Scheckter's error probably cost him, Villeneuve would have been that year's world champion, despite Scheckter's number one treatment. "I've read people say he couldn't have won a championship," says Giacomelli, "and I really don't understand what they are talking about. He would have won in '79, but he handed it to Scheckter on team orders at Monza. He would have won in '82, for sure, and he could have won many titles after that. No doubt about it." The mind boggles, in fact, at the statistics that might have been set had he not perished at Zolder '82 and instead lived to accept Ron Dennis' repeated offer to join McLaren. Now consider this: in his four-and-a-bit years, 67 grands prix, he crashed out due to driver error no more than five times. Legend would suggest far more. Now consider this: rock apes aren't quick in the wet. Watkins Glen 1979: wet first practice. Villeneuve was fastest by 8.5 seconds. Monaco 1980: a late-race downpour. Villeneuve was faster than anyone else by five seconds in the hopeless 312T5. Now consider this: crazy guys hanging on by their fingernails cannot sustain pressure from behind for any length of time. Jarama 1981: running at the front with four faster cars lined up behind him for virtually the entire distance. Not a single mistake. Not even the hint of one. This was a very, very great driver indeed. And that's without even talking about the miracles. Putting a car that should really have struggled to qualify at all on the Monaco front row in 1981, pipped by Nelson Piquet's illegally light Brabham. Getting the T5 up to third place at Zandvoort in '80, in a field of FW07s, BT49s, Ligiers and Renaults. Leading with it in Brazil and setting second-fastest lap. In underdog terms, that's Senna, Moss and Nuvolari territory. All that and a Clark/Prost feel for tyres, too. "He wasn't only fantastically quick," says Giacomelli, "he had everything. He knew a lot of the technical side - in fact, he was a connoisseur of that. He knew exactly what the car was doing and he could talk about it very well. He was a very sensitive driver, actually. "He was the greatest driver I ever saw."